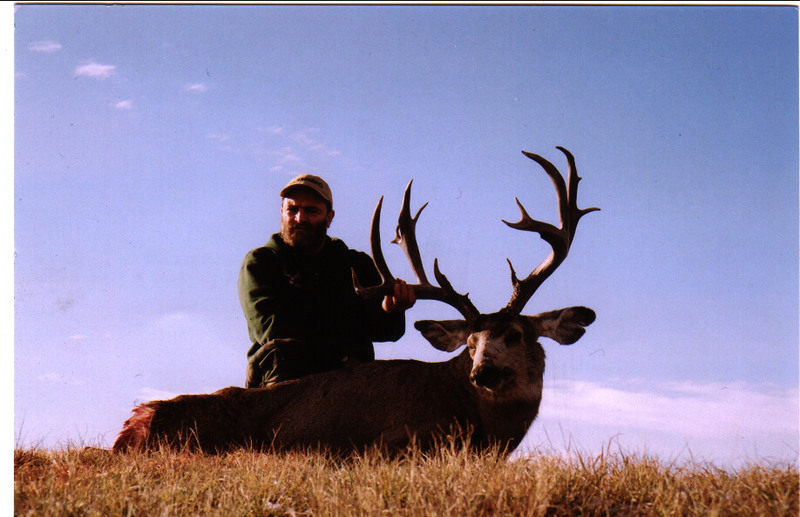 days until November 1 the start of the 2005 hunting season.. call now and reserve your spot!!!!! 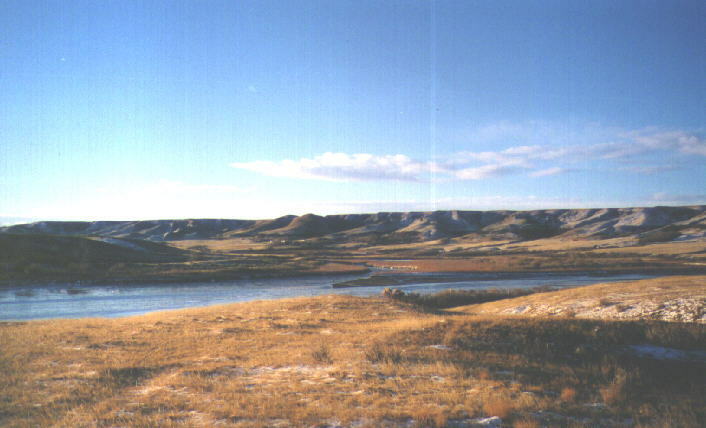 Our hunting area lies along the Oldman River, Bow River, and South Saskatchewan River. 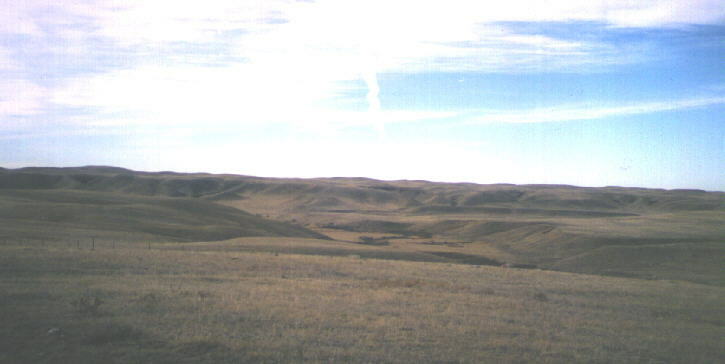 Lots of farmland, community pastures and good cover. Temperatures in November range from 50 degrees F and -20 degrees F. We encourage you to have suitable clothing. Mike and Kelly are born and raised in this southern Alberta area. They all love the outdoors, and have respect for the wildlife. All are members of the Fish and Game Associations in the surrounding areas, as well as trophy sponsors for the clubs. Mike and Kelly have 20 years of guiding experience. 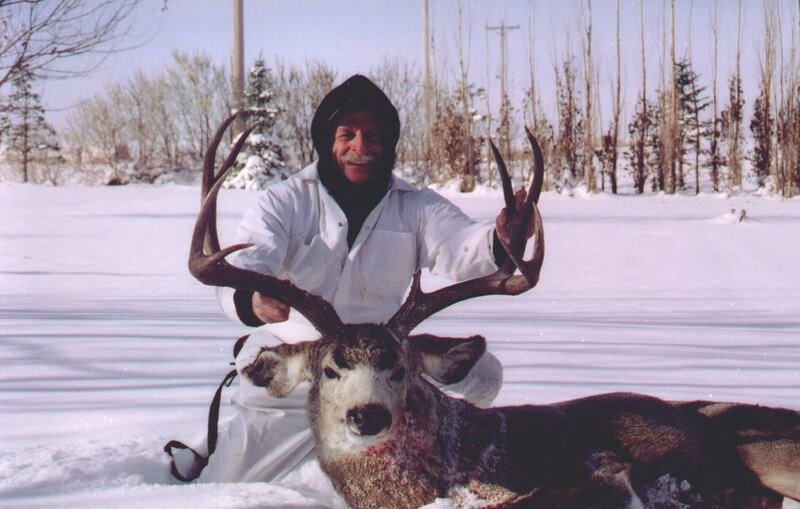 Our staff consists of experienced guides, all born and raised in Southern Alberta. We will make your stay enjoyable. Each of us have one of the most impressive head collections you will see anywhere. 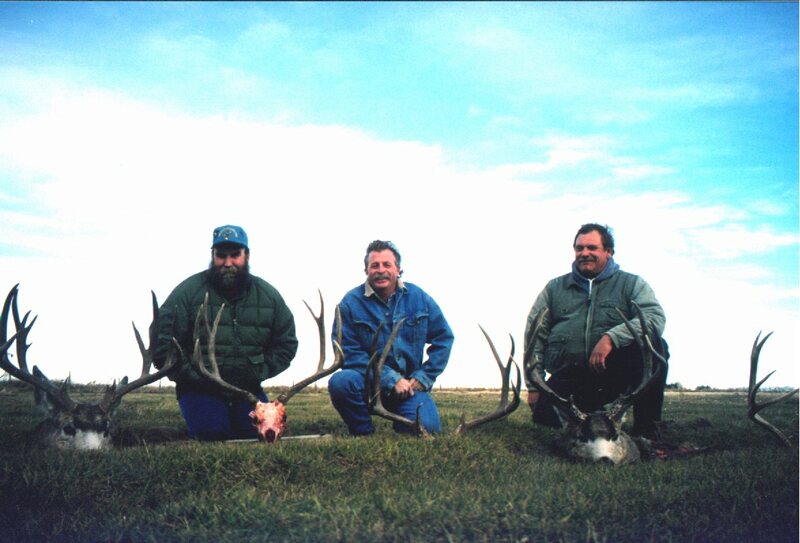 Ninety percent of our hunters are successful in harvesting a trophy Mule deer. 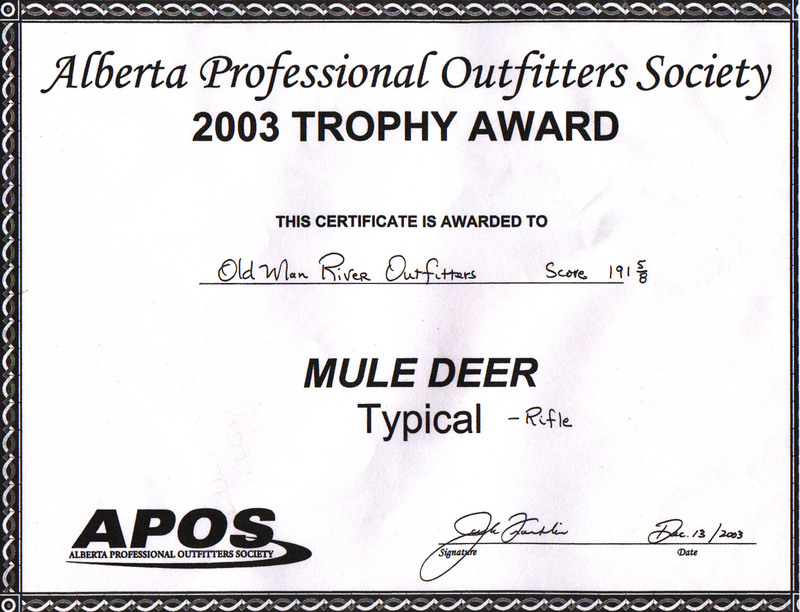 From 1998 to 2003 we had between 90 to 100 percent success in taking TROPHY mule deer. We will not let you take a small deer. We take very nice bucks scoring from the 170s to over 200 Boone and Crockett points. Also you may have a chance at some very nice Whitetail Deer. Then to top it off, for fun you can also hunt coyotes. There are so many coyotes everywhere.. After your deer tags are filled You will also be welcome to try the best waterfowl hunting in the Canadian prairie pothole area. Ducks and Geese like you never seen before.